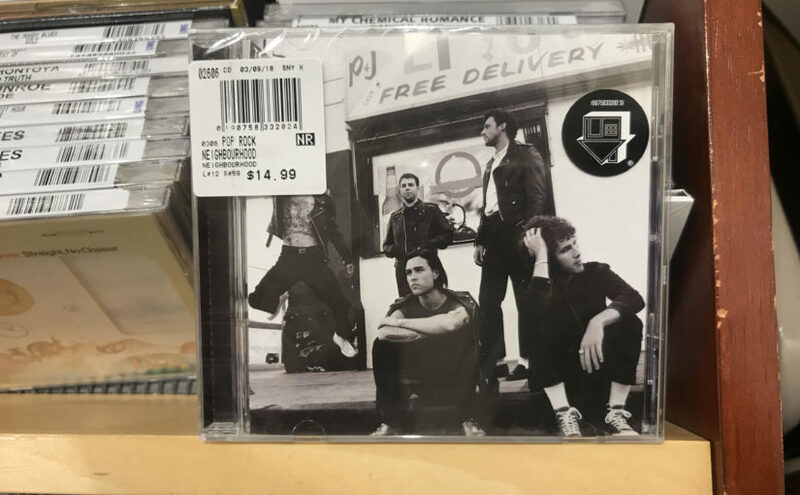 The Neighbourhood released their third album March 9. A few weeks after the self-titled album’s release, I was able to get my hands on it and sit down and listen to it the way music should be listened to — with no outside distractions, from start to finish. With hits from their first album like “Sweater Weather” and an interesting variety of tunes from their second, I had high expectations for their latest release. Needless to say, I was not disappointed. Introductory “Flowers” laid down the foundation for what to expect from the rest of the record. Accompanied by heavy bass and synth was frontman Jesse Rutherford’s beautiful vocal range spitting out angsty lyrics. As if I wasn’t convinced already that I was going to love this album, “Scary Love” confirmed this notion. With a little more pop and just as much synth, this song is easily the biggest hit of the record. In other words, “Scary Love” is such a jam. The Neighbourhood slows it down with the third track, “Nervous”. Going along with this mellow beat is “Void”. The album has the same synth slow jam feel, but each track is unique in its own way, with defining lyrics that tell a story. Defining track “Softcore” is more electric, and its title is the epitome of the album’s sound. There is nothing I love and appreciate more about a band than when they can consistently produce high-quality music while changing up their sound entirely. But if you’re someone who doesn’t like change, “Blue” and “You Get Me So High” feature remnants of the old Neighbourhood with a vintage vinyl sound and a contemporary twist that all indie music lovers rejoice in. Straying from the synth, “Sadderdaze” and “Too Serious” incorporate an acoustic guitar. “Sadderdaze” is a slow burn and raw with a feeling of just that, being in a daze. “Reflections” was the track that was unlike the others and more of a slow jam that I live for. When The Neighbourhood comes to my neighborhood, this is the song that I will most look forward to hearing live. When they toured for their last album, “Wiped Out!”, I saw them at the iconic First Avenue in Minneapolis. The Neighbourhood puts on a show unlike anyone else. I couldn’t help but succumb to Rutherford’s melodic voice with burning beats and lose myself in the crowd. The eponymous album ends on a high note with “Stuck With Me”, which perfectly wraps up the record. Two years after “Wiped Out!”, “The Neighbourhood” was well worth the wait, and I will be listening to it up until their next one.